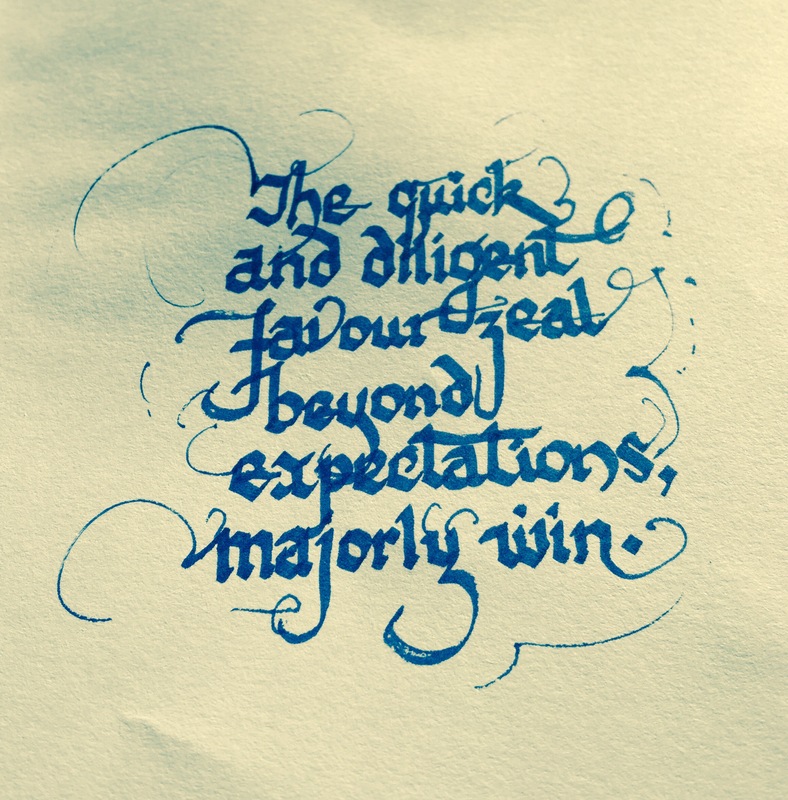 It’s been a while since I wrote my own lines when practicing calligraphy. Writing a pangram lets you write all letters in a line. Here is a collection of quotes starting with self-cooked pangrams. From no.1 to 7 are self-thought and not taken from the net. 1.The quick and diligent favor zeal beyond expectations, majorly win. 2. Quickly zoom right into x code, java and responsive web. 4. Your work is your God. 5. Faith is big, Confidence is huge, Trust is mammoth. 6. Do what computers can’t. 7. Put a deadline on your goals and you will achieve them. The following ones are not my lines. They are taken from the net and are great lines to write. 8. Fail well! Time spent failing is time spent well. 10. The hand of the diligent will rule. 11. The harder you work the luckier you get. 13. You will eat the fruit of your labour; and blessings and prosperity will be yours. 15. Knowledge speaks. Wisdom listens. 17. Work hard. Be humble, speak softly. 18. Follow, lead or get out of the way. 19. Teaming takes you further. 21. Do difficult, different things. 24. Adversity is my mentor. 25. The mill will run without us. 26. Make your own road.